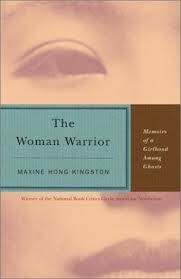 No Name Woman Research Papers delve into female autonomy and sexual identity in Maxine Hong Kingston's work, The Woman Warrior. Research Papers based on No Name Woman can be custom written and ordered to focus on any aspect of the memoir by Maxine Hong Kingston. Paper Masters custom writes all research project so that you can integrate any portion of Kingston's work into a paper or essay. The book-length memoir from which “No Name Woman” was extracted, The Woman Warrior: Memoir of a Girlhood among Ghosts, was one of the first literary works to address the unique struggle for autonomy and identity that is faced by women of color in America, especially those who, as children of immigrants, traverse the border between American culture and that of their native country as embodied in the older generation. In “No Name Woman,” Maxine Hong Kingston’s development of an autonomous self-identity is challenged by her need to reconcile the traditional Chinese treatment of women with her perception of women as essentially strong and good. Through the story that her mother relates to her, Kingston the child recognizes the paradoxical disparity between the strength and heroic actions of women and their status as little more than domestic slaves and chattel in the view of traditional Chinese culture. The tragedy and pathos of the “No Name Woman” is only compounded by Kingston’s realization that her mother is telling her the story as a means of further repression and social control. The story begins with the narrator’s mother’s admonition that Kingston “must not tell anyone what I am about to tell you”. From the outset, the story of No Name Woman is swathed in the deep shame of the mother and, by extension, the entire network of family members. The shame surrounding the circumstances of No Name Woman’s death is so pervasive that she has been essentially excluded from the family history, even to the extent that she has been stripped of the ultimate badge of a person’s autonomy, a personal name. In the story, No Name Woman is determined to have had an affair that resulted in an out-of-wedlock birth. The degree of consensuality in this affair is not clear, although Kingston attempts retroactively to ameliorate the circumstances by imagining that her aunt was in love with her illicit partner. Indeed, much of the narrative is given over to Kingston’s revisionist musings as to the potential motivations and possible outcomes of the story. This process demonstrates the centrality of the story of No Name Woman in Kingston’s own formulation of her identity, and the difficulty she encounters in attempting to reconcile the tragic end of No Name Woman with her own beliefs and feelings. However, the ultimate outcome of the story ends with No Name Woman’s suicide, which was paired with the infanticide of her newborn infant. This occurs only after a shaming ritual in which costumed villagers terrorize and plunder the household of No Name Woman’s family. Short Stories - Maxine Hong Kingston Research Papers discuss three short stories which are as follows On Discovery, Silence, and No Name Woman. Cultural Identity - Cultural identity is vital for a person's sense of self and the ways in which they relate to others, both inside and outside of the immediate culture. Identity Theory - The term identity has also become increasingly important in modern psychology. Death of Woman Wang - The role of a woman in China has historically been one of repression. Paper Masters writes custom research papers on No Name Woman and delve into the female autonomy and sexual identity.